Compo was named to commemorate the actor Bill Owen (Compo from Last of the Summer Wine) because he arrived here at Freshfields donkey sanctuary in Derbyshire the day that the actor sadly passed away. Compo was rescued at just 3 months of age when the animal welfare seized him and his mother, Emma from a meat market; Compo was dangerously underweight and terrified. 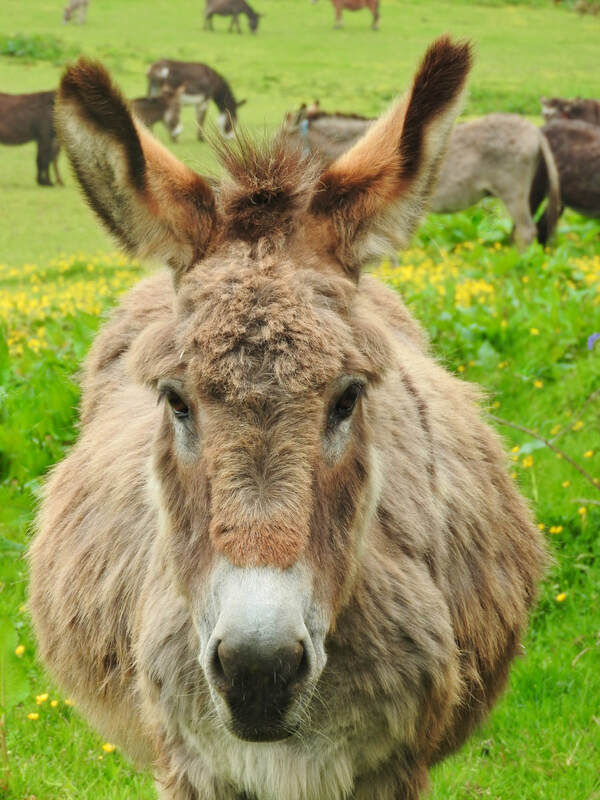 He is now a very quiet and friendly little donkey who gets on well with all the others, he loves to have some cuddles and since tragically losing his friend Piccolo he has begun to bond with Bobbin. Emma and Bobbin are both at Flicka too.